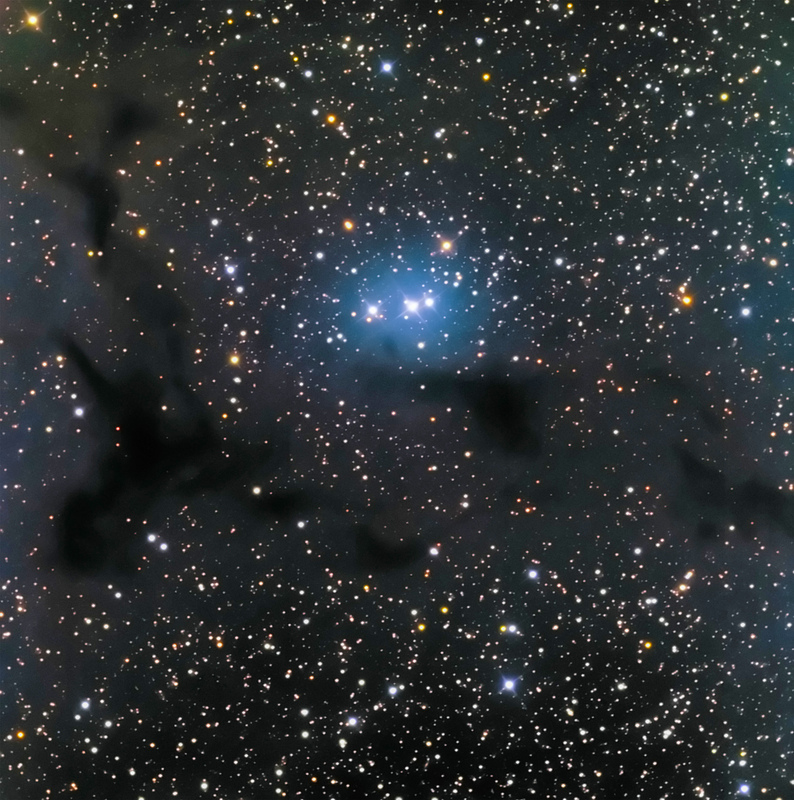 Barnard 150 is a remarkable filamentary cloud within the Cepheus Flare in the constellation of Cepheus. It is also known as Lynds (L1082) and GF 9 in the catalog of globular filaments by Schneider and Elmegreen (1979). 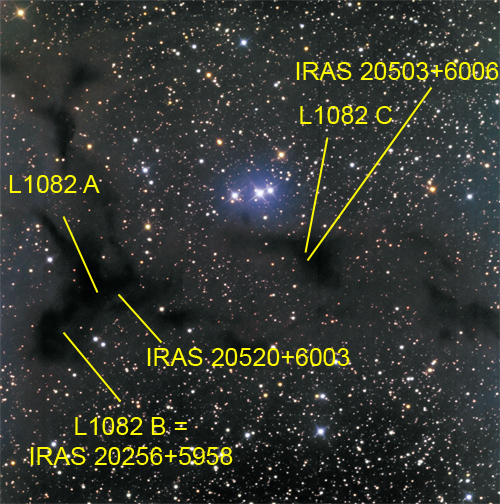 This object is comprised of three dense cores where new star formation is occurring, labeled L1082 A, B and C in the annotated image below. The locations of IRAS point sources are also included in the annotated image. All LRGB data were unbinned and a synthetic luminance was added to the actual luminance.